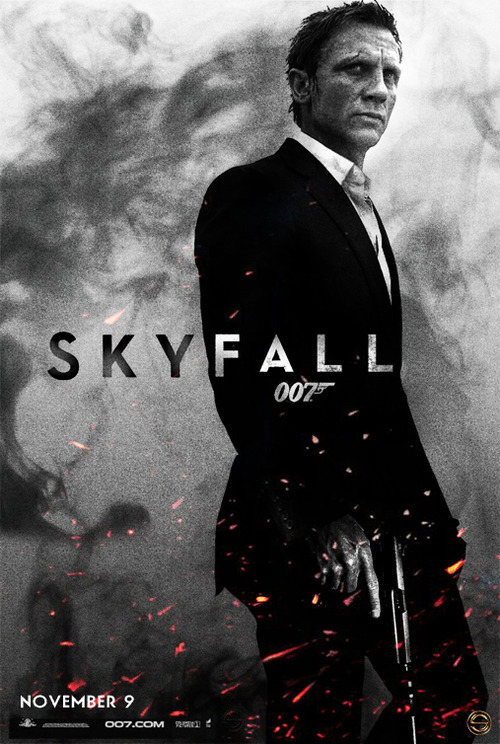 As the most recent installment in one of the world's longest running film series, it's hard to know where Skyfall will stand in another 50 years' time, but for now it continues the trend begun by Casino Royale and Quantum of Solace of offering a darker and more grim version of Agent 007. After facing the death of those he loved in Casino and Quantum, here James Bond faces his own mortality—or at least his oncoming political irrelevance. 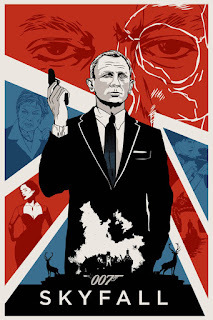 Bond has always been defined more by his maturity and sophistication than by his youth, but in Skyfall he—and M, and MI6 itself—confront the question of whether they can adapt to the modern political landscape or if they have become outdated tools no longer capable of accomplishing the duties for which they were originally created. Bond struggles to get back in shape after a prolonged absence, and M and MI6 struggle to fend off bureaucratic inquiries into their operations. Does state power still essentially function the way it did in the past, or has the world fundamentally changed? What hasn't changed is the body count this state power is built upon. Not only does Skyfall confront the violence of Bond and the Secret Service in terms of the casualties it inflicts on both sides of any conflict (a particularly relevant concern after Quantum of Solace), it also investigates a more hidden remainder: the life of its own operatives. Javier Bardem's Silva is one of the most memorable recent Bond villains not only because of his flamboyant demeanor or overt homosexuality, but because he used to be an MI6 agent himself. This parallel employment draws on a similarity between SIlva and Bond which is highlighted by M's decision to take a risky shot that leads to his supposed demise. As Silva makes explicit in his extended rat monologue, government agencies like MI6 turn people into monsters (they "change their nature"). In the age of Snowden when we've begun to question our trust in political overseers, the idea that they must "think on their sins" is more than just a contemporary ethical directive, it's a reminder that Bond is a tool. If we see Skyfall as the conclusion to James Bond's Trilogy of Loss, this serves as the perfect thematic underpinning to wrap up the arc. Bond must wrestle with the question of his own moral agency. He's always been a man of action all the way back 50 years to Dr. No, but here he must ask himself whether his actions have ever really belonged to him or whether he's merely been taking orders. After two desperately personal installments in the franchise, Skyfall connects this character development back to five decades' worth of rooting in international politics, finally politicizing personal ethics. Also, Skyfall is just gorgeous. There are so many silhouettes to visualize the growing darkness in Bond's psyche, but the neo-noir aesthetic is also something that just gets me off on a personal level. For my money, this is the most beautiful Bond even above On Her Majesty's Secret Service and Tomorrow Never Dies. Can't wait to see where Hoyte van Hotema takes Spectre (there's a close up in the trailer that looks distinctly like his work in Tinker Tailor Soldier Spy). Here's to 50 more years.